Jaime Davidovich (1936-2016), SoHo Pioneer | SoHo Memory Project. 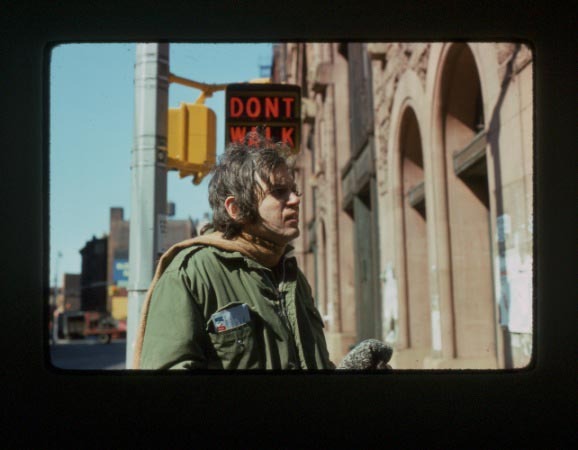 Jaime Davidovich, painter, video and installation artist, and friend of The SoHo Memory Project passed away in August at the age of 79. Born in Buenos Aries, Davidovich moved to SoHo in 1964. He and his then wife, Judith Henry, founded Wooster Enterprises, after the street on which they lived, a conceptual stationery design studio affiliated with the Fluxus group. In 1976, he founded Cable SoHo with a group of artists interested in the power of public-access broadcasting. This group later turned into the Artists’ Television Network that produced “SoHo TV”, a weekly arts magazine on Manhattan Cable Television. Davidovich then developed “The Live! Show,” which premiered in 1979 and ran until 1984. Davidovich was a visionary who saw the power of cable television as a medium for disseminating art, ideas, and social commentary. “The Live! Show” included “celebrity” interviews (Laurie Anderson, Gregory Battcock, Eric Bogosian) and performances. Davidovich also taught art lessons on the show, including a lesson on how to paint Ronald Reagan. My favorite segment, however, was when Davidovich became Dr. Videovich, a “specialist in curing television addiction.” Dressed in a white lab coat, Dr Videovich took calls from viewers, showed commercials, and, sold “videokitch,” a collection of store-bought merchandise and limited-edition objects designed by Davidovich, such as television sets in the form of piggy banks, cookie jars, and windup toys. After The Live! Show was cancelled due to escalating broadcast fees, Davidovich began making work that addressed politics and installed temporary video theaters in museums and galleries. He also had retrospective exhibitions at major museums, as well as gallery shows of his work from SoHo Enterprises and SoHo TV. Over the past few years, I had the privilege of meeting with Davidovich several times. At one meeting, he lent me his old slides of SoHo and granted me permission to use them to support my project, a very generous gift. Below is a selection of Davidovich’s photographs, including a few of himself. These images bring back memories of old SoHo and of the man who captured it as it was. Jaime Davidovich will be sorely missed.